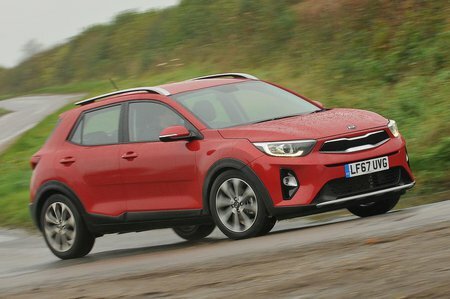 Kia Stonic Running Costs, MPG, Economy, Reliability, Safety | What Car? Unlike some rivals, including the Citroën C3 Aircross, there isn't a bargain-basement entry-level version of the Stonic to tempt budget-conscious buyers. Instead, the range starts at a price slightly above the Renault Captur's and slightly below that of the Seat Arona. As for fuel economy, the 1.0 T-GDi managed a respectable 41.4mpg in our real-world True MPG tests, although the Arona 1.0 TSI 95 and C3 Aircross 1.2 Puretech 110 achieved slightly better figures. 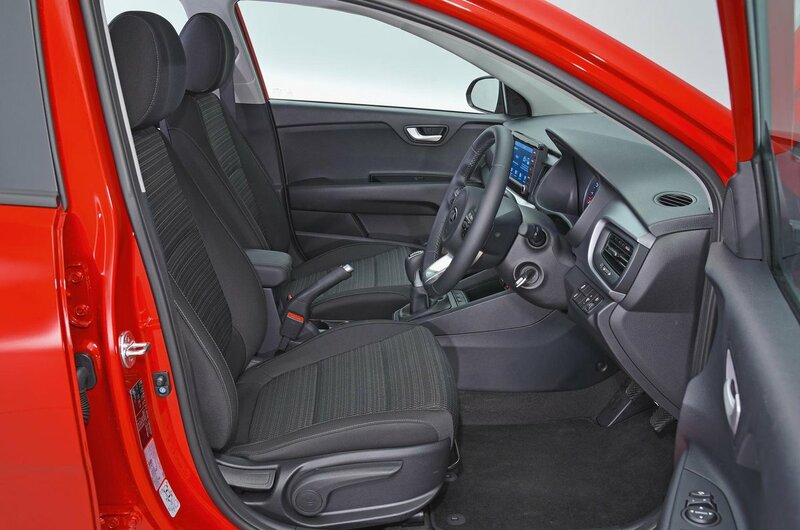 You should get more than 50mpg from the diesel Stonic. No Stonic drops below 100g/km of CO2 emissions; the best performer is the diesel at 109g/km, while the worst is the 1.4 petrol at 125g/km. The 1.0 petrol manages a reasonable 115g/km. The Stonic is predicted to hold onto its value well by industry experts, although PCP finance deals aren't very competitive at all. 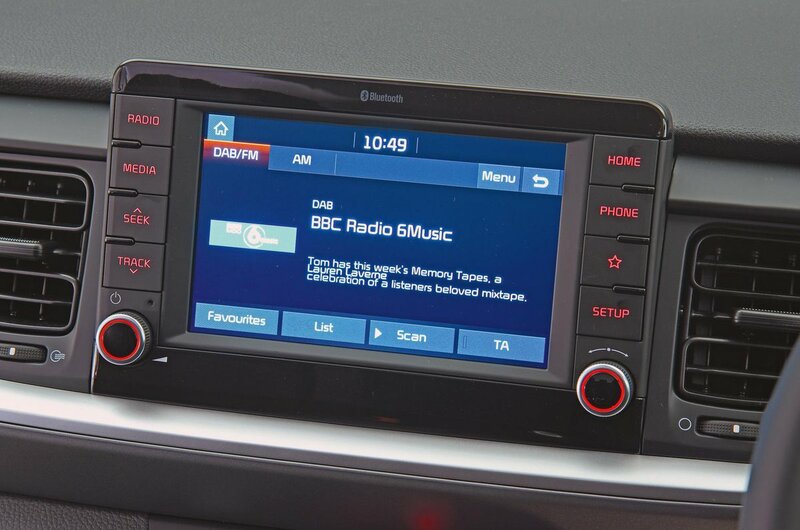 We’d suggest keeping the costs down and sticking with the still relatively well-equipped entry-level 2 trim. This gives you plenty of goodies, including 17in alloys, automatic lights and wipers, air conditioning and rear parking sensors. We’d recommend adding the optional ADAP safety pack, though, because this gets you automatic emergency braking, lane departure warning and high-beam assist for the headlights. First Edition trim is only worth considering if you want a lot of luxuries in your life; you can't add anything other than the safety pack and metallic paint to 2 trim. Kia as a brand came fourth out of 32 manufacturers in our latest reliability survey. However, the Stonic itself was too new to be included. If something does go wrong, there's always Kia's seven-year warranty to fall back on; this is the best in the class. UK and European roadside assistance is free for a year and available at a reasonable extra annual cost thereafter. Disappointingly, the Stonic doesn't come with automatic emergency braking (AEB) as standard unless you cough up for range-topping First Edition trim. Most rival manufacturers fit this important safety aid as standard. That, at least in part, explains why Euro NCAP awarded the Stonic just three stars (out of five) for safety. Most rival small SUVs, including the Arona and Volkswagen T-Roc, have five-star ratings. There is an option pack that includes AEB (which can spot both cars and pedestrians), lane departure warning, a driver attention monitor and high-beam assist. Add this and the Euro NCAP rating rises to a much more respectable five stars, although the adult occupant and pedestrian scores still trail those of the Arona and T-Roc. Top-level First Edition cars come with all the features of the safety pack, plus you even get blindspot monitoring. All Stonics have a standard alarm and immobiliser, along with deadlocking on all doors. Mind you, the C3 Aircross proved harder to break into and steal in Thatcham Research's security tests.